Let your personality shine with these contrasting side stripe jeans. 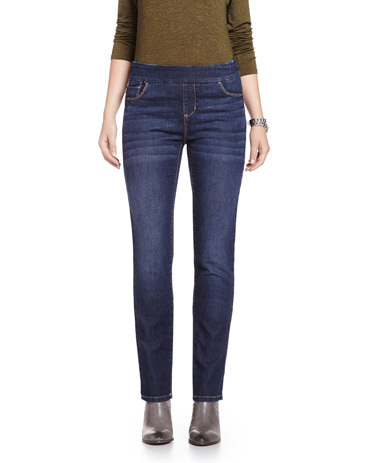 Featuring pockets at the front and the back, these dark wash skinny jeans are basically your next go-to! Pair them with a shirt and flats for a trendy and laid-back look. Front rise: 9 5/8" ; inseam: 31" ; leg opening: 5"